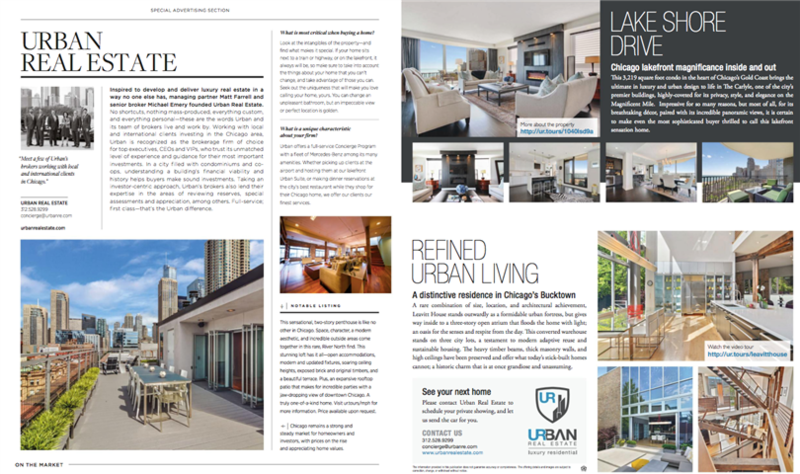 Urban Real Estate showcases a few of its recent luxury listings in Chicago's Bucktown, River North, and Gold Coast neighborhoods in this issue of style magazine, Luxe. Urban managing partner Matt Farrell and senior partner Michael Emery featured properties which garnered local and national media attention, along with strategic advertising buys, as part of their respective marketing plans. Read more about these incredible homes, and check out our company profile in the November/December issue of Luxe Magazine.